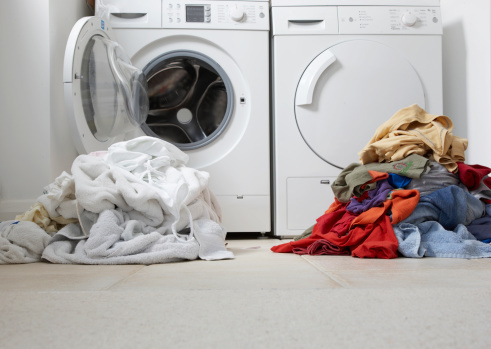 Problems with Bosch washing machines that won't spin are usually due to issues with the load and detergent. A too-small load size and tangled laundry within the drum are the root causes. You can tell that the laundry wasn't spun, because it will be very wet at the end of the cycle. Don't bother attempting to dry very wet laundry in the tumble dryer because it will take a long time and use a lot of energy. You're better off troubleshooting the cause, rectifying it and running the cycle again. Use HE (High Efficiency) detergent in Bosch washing machines. 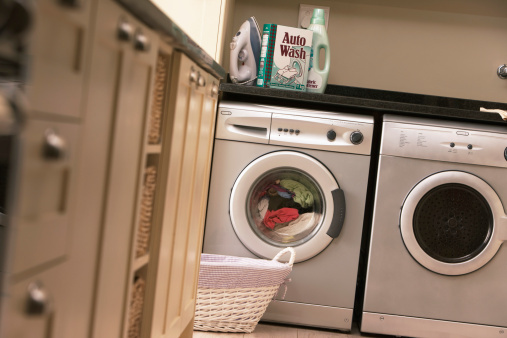 Check for large items of clothing being tangled if the Bosch washing machine doesn't spin. The load could not be evenly distributed in the drum and the spin cycle will have been disabled to prevent damage to the garments. Load the drum with large and small items together and run the entire washing and spin cycle again. Add more laundry and run the entire washing and spin cycle again if you haven't found tangled large items, but the spin cycle still failed. This indicates the load was too small. Add 1 tbsp. of fabric softener to 1 pint of water and pour it into the main detergent dispenser if there's no tangling and the load was a normal size. The cause would have been excessive suds because of too much, or the wrong kind, of detergent. 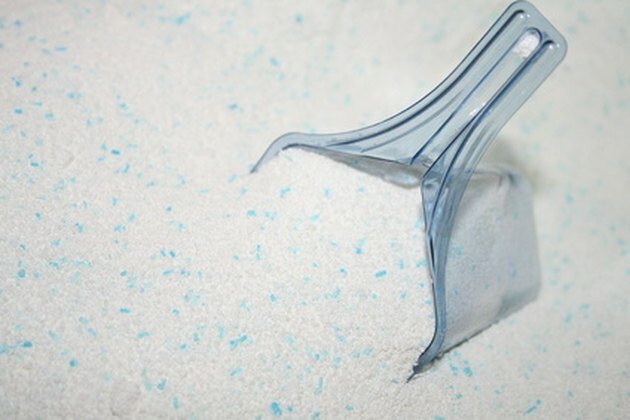 Use HE (High Efficiency) detergent in Bosch washing machines.